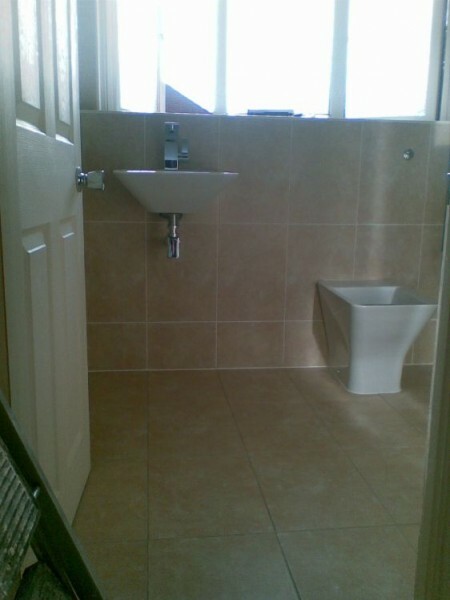 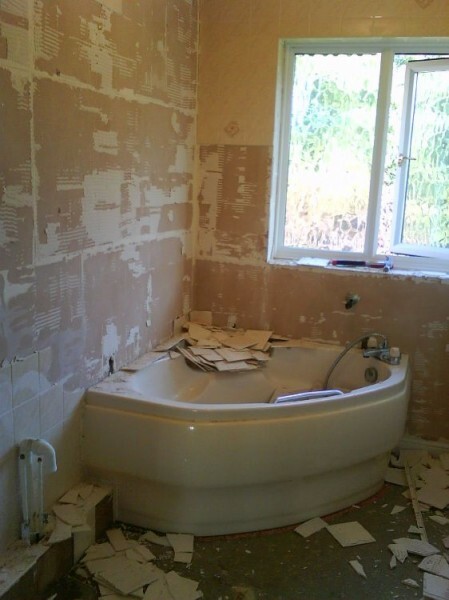 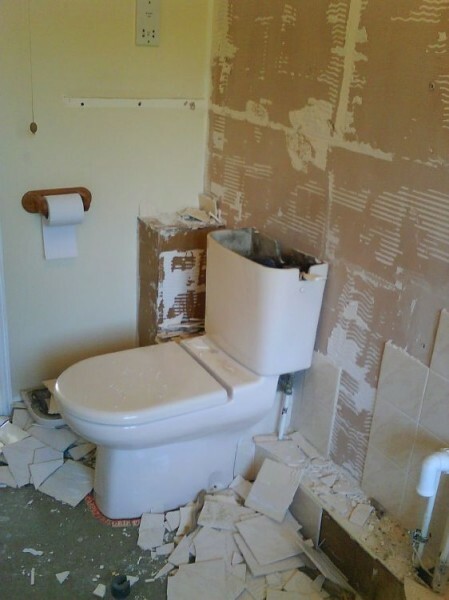 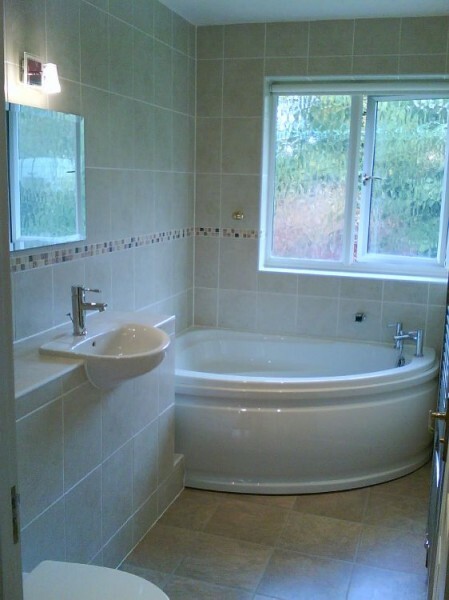 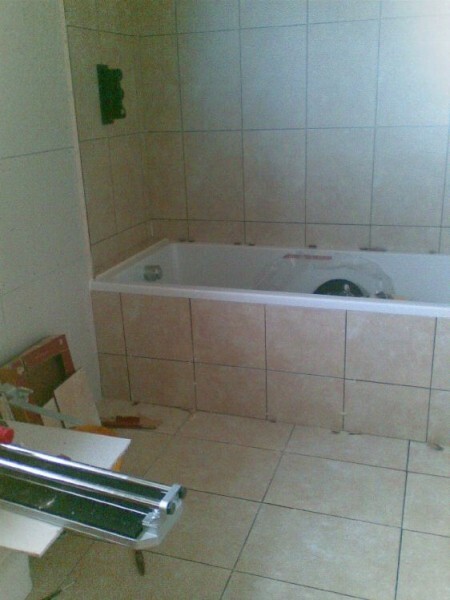 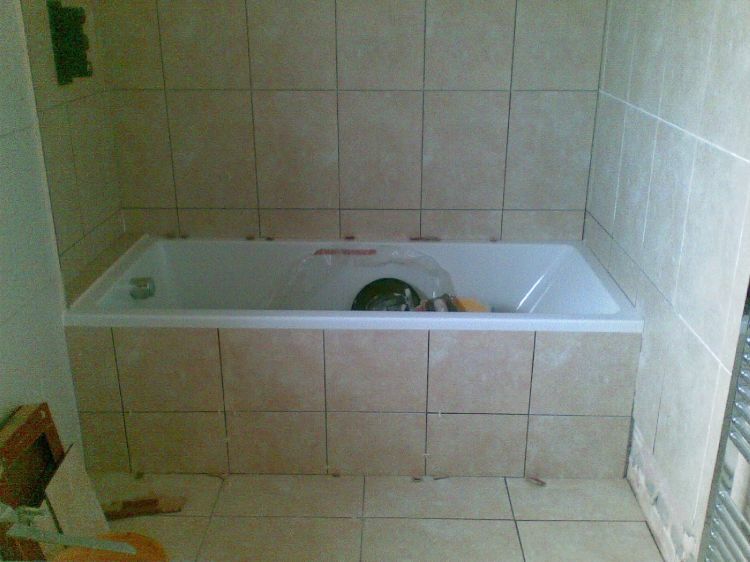 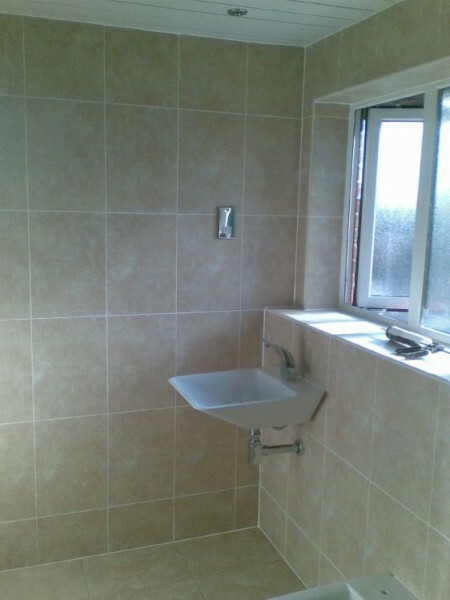 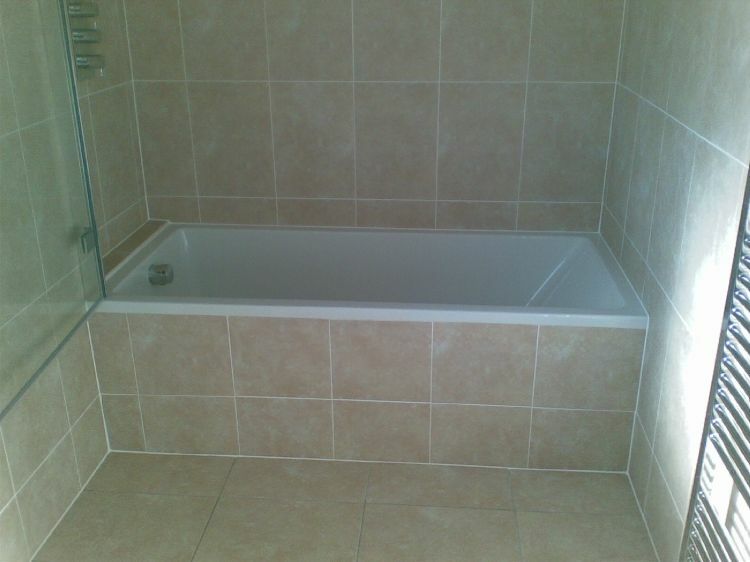 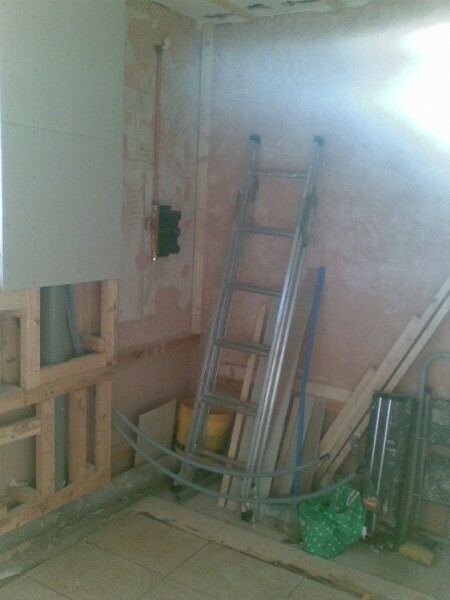 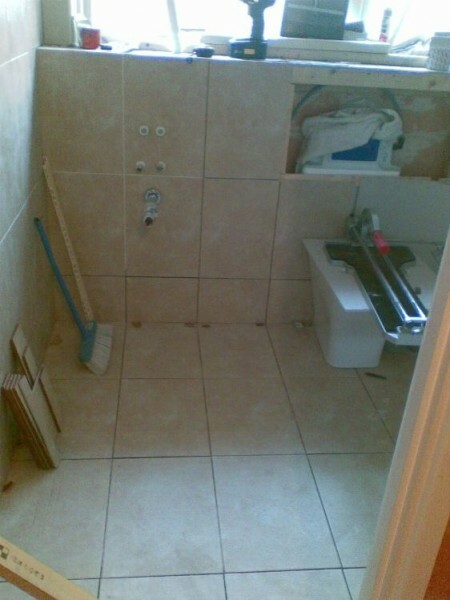 This large, fully tiled bathroom includes a built in shower valve, high quality bath enclosed by tiles, wall hung basin, and hideaway type w/c, with all pipework and services hidden away inside boxing that we built and tiled. 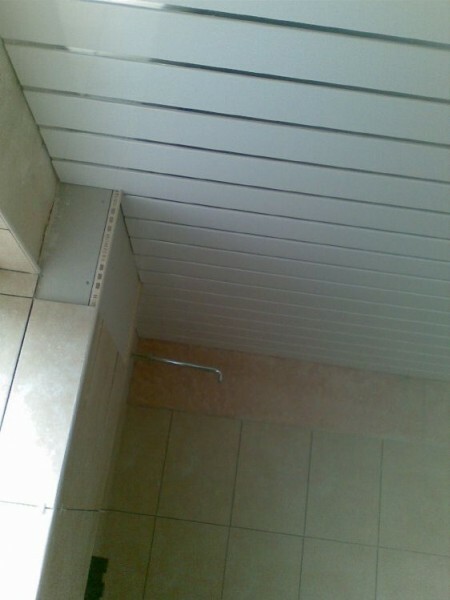 Click thumbnails to enlarge. 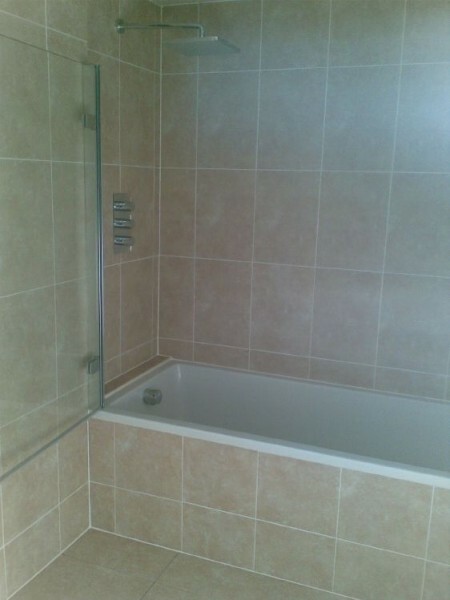 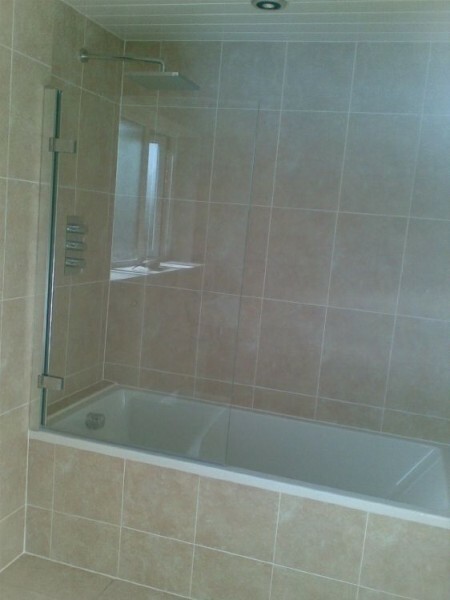 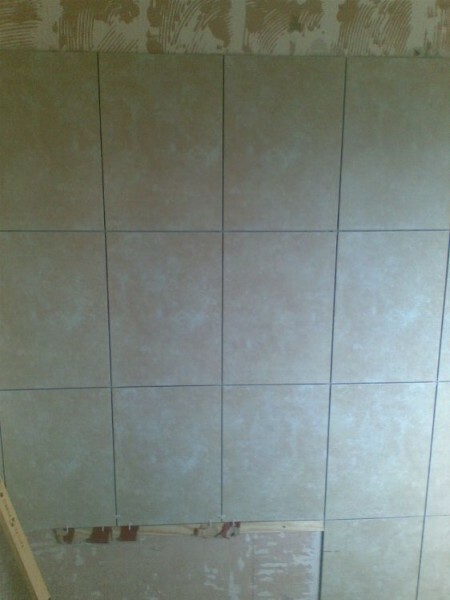 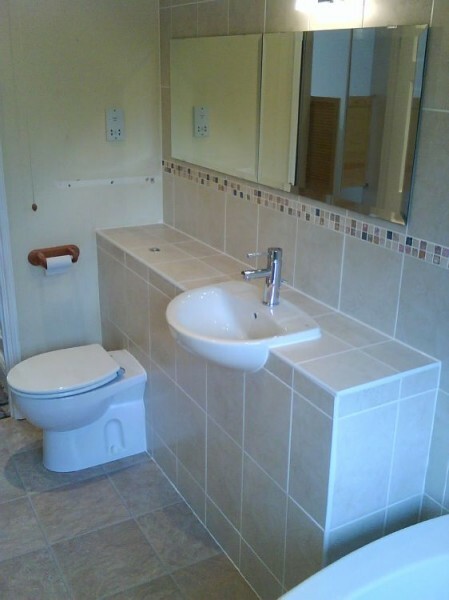 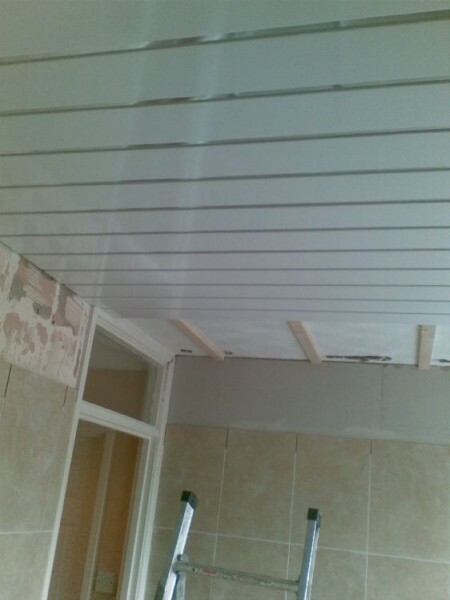 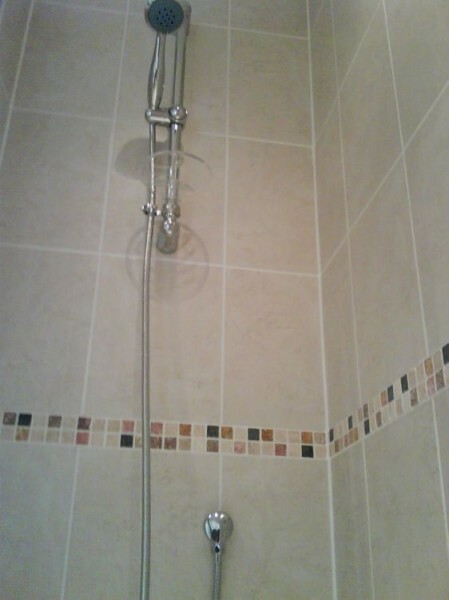 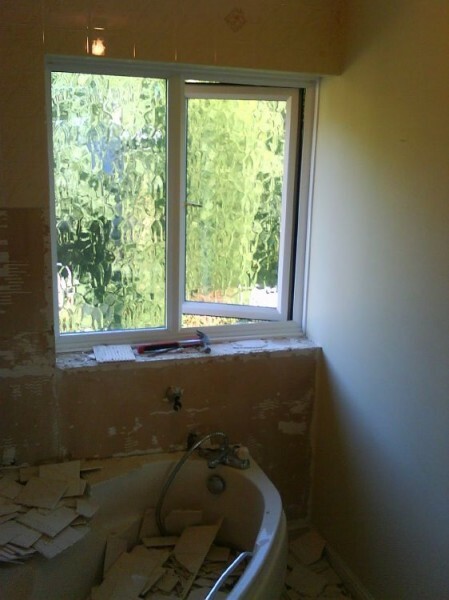 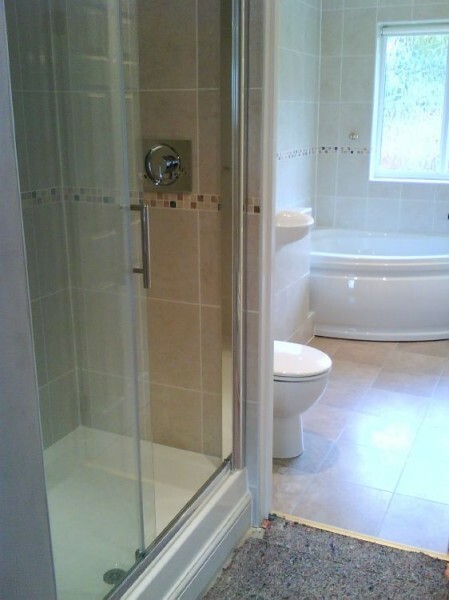 In this complete refurbishment we replaced the bathroom suite, tiles, installed a laminated floor covering and coverted a wardrobe area into a large enclosed shower cubicle.